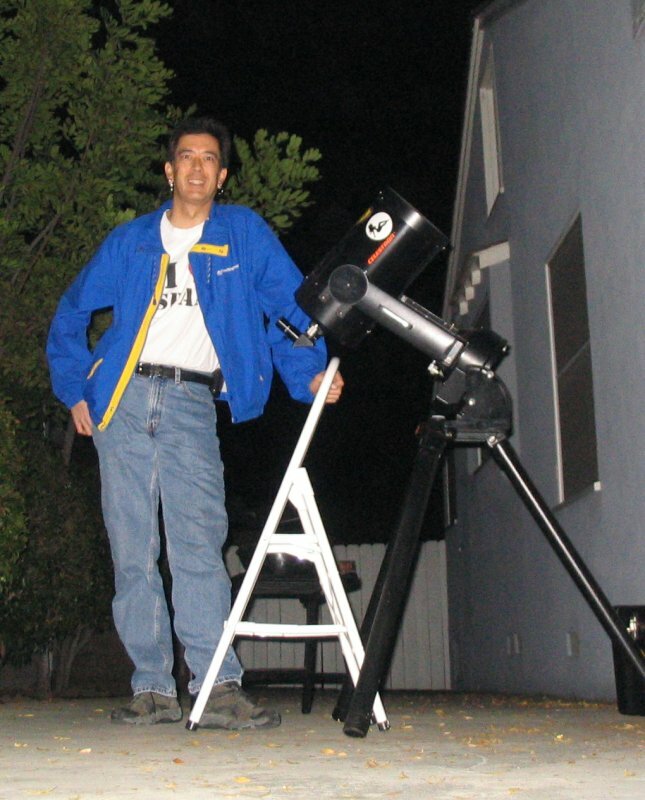 Since 1998 I’ve set up my telescope in front of our house and handed out candy and looks at whatever was up in the sky. Tonight there was just the moon, but that’s interesting enough for most kids. The first time I did this was when Cathy was pregnant with Lucinda. I figured that I should do something to get some practice talking to kids. And it turned out to be a big hit. The kids liked it, and over the years they come back again and again. So it’s sort of taken on a life of its own now. There was actually a comet up this evening. I spent a little time early on finding it. Comet SWAN was up in the western sky. Even here in the city, I was able to see it. In the telescope it looked like a fuzzy star. Our neighbors across the street are interested in astronomy, so I showed it to them when they brought their daughter over for candy. Everyone else just looked at the moon, since that has a better ‘wow’ factor. Wow… what a great idea! My 10 year old would love this! Oh and I forgot to come by in me costume and get me Treat! Looks like a cool telescope too.